NVIDIA is planning to introduce their latest Maxwell architecture with two entry level cards in the upcoming month which include the GeForce GTX 750 and GeForce GTX 750 Ti. Both graphics cards would replace their predecessors, the GeForce GTX 650 and GeForce GTX 650 Ti respectively. 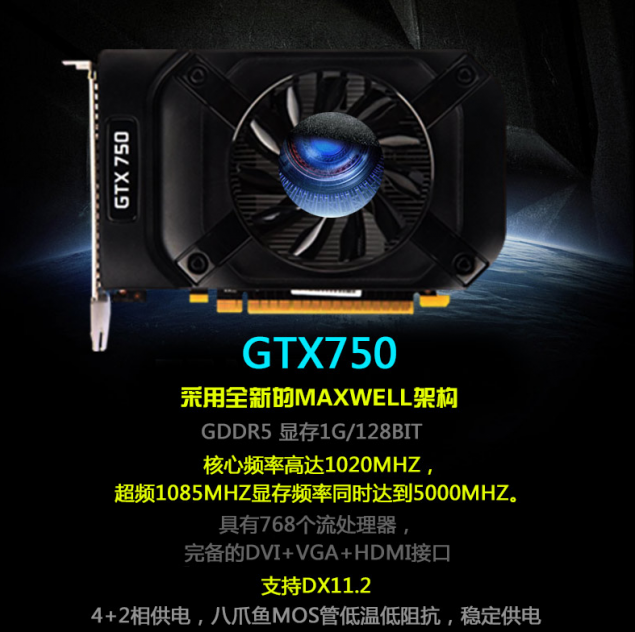 Ahead of its launch next month, the GeForce GTX 750 has already been listed by Chinese retailer TMall in a DIY barebone kit. The listing includes pictures, specifications and some features of the card which will be detailed in this article. The NVIDIA GeForce GTX 750 is the entry level Maxwell card featuring the GM10* core with 768 CUDA cores. We don’t know which Maxwell chip the card is based upon but early rumors point to GM107 and GM117. The former seems more accurate but we will wait for more credible information in the upcoming days. As for the specifications, the card is a massive improvement over the GeForce GTX 650 since it features 768 cores versus 384 cores on its predecessor. The manufacturer of the specific GeForce GTX 750 model has not been mentioned but i suspect its Maxsun (An APAC based NVIDIA AIC partner) by looking at the design scheme. Other specs include 1 GB GDDR5 memory which runs across a 128-bit bus interface. Clock speeds are maintained at 1020 MHz for core, 1085 MHz for GPU boost and 5 GHz effective memory frequency. The PCB on the card features a 4+2 phase VRM with MOSFETs and solid state capacitors. It’s unknown whether this is a reference or non-reference design. Display outputs include DVI, VGA and HDMI ports while the card features DirectX 11.2 support that’s available on Windows 8. The card definitely looks like a leap forward compared to the GeForce GTX 650. On the other hand, NVIDIA also plans to launch the GeForce GTX 750 Ti (GTX 650 Ti’s successor) with Maxwell GPU. The GeForce GTX 750 Ti is supposed to feature 960 Cores, 80 TMUs, 16 ROPS and clock speeds maintained at 1098 MHz/1176 MHz for base and boost. The 2 GB GDDR5 memory on the card would be clocked at 5.4 GHz effective though its highly likely that this could be an overclocked model. It is also expected that the GeForce GTX 750 would be available in 2 GB variants but price would be higher. 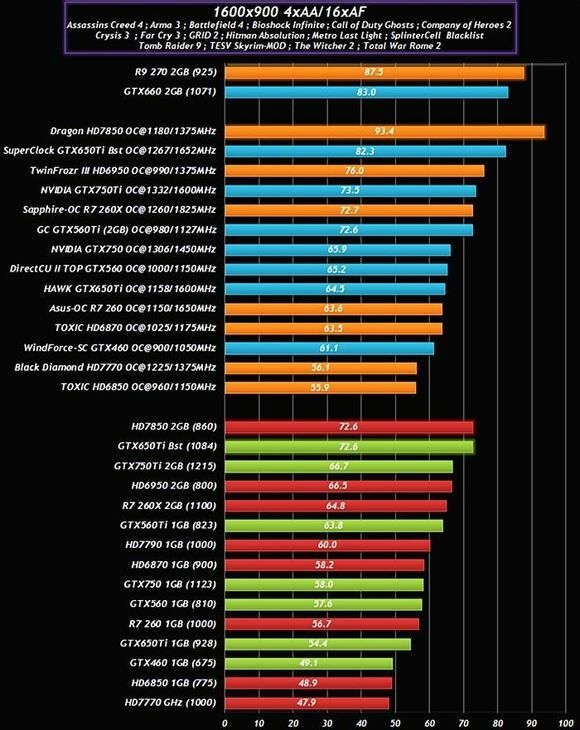 Performance numbers leaked regarding the GeForce GTX 750 and GeForce GTX 750 Ti in games with the GeForce GTX 750 Ti rushing past the Radeon R7 260X and the GeForce GTX 750 competing against the Radeon R7 260. As i had already stated, NVIDIA could stir up some competition in this already heated sub-$150 market with these new arrivals. Their GeForce GTX 650 Ti boost is a well competitor and the Radeon R7 260X doesn’t show a good value against the Radeon HD 7850 2 GB models. AMD might answer with a price drop on their GPUs once the Maxwell GPUs are out. 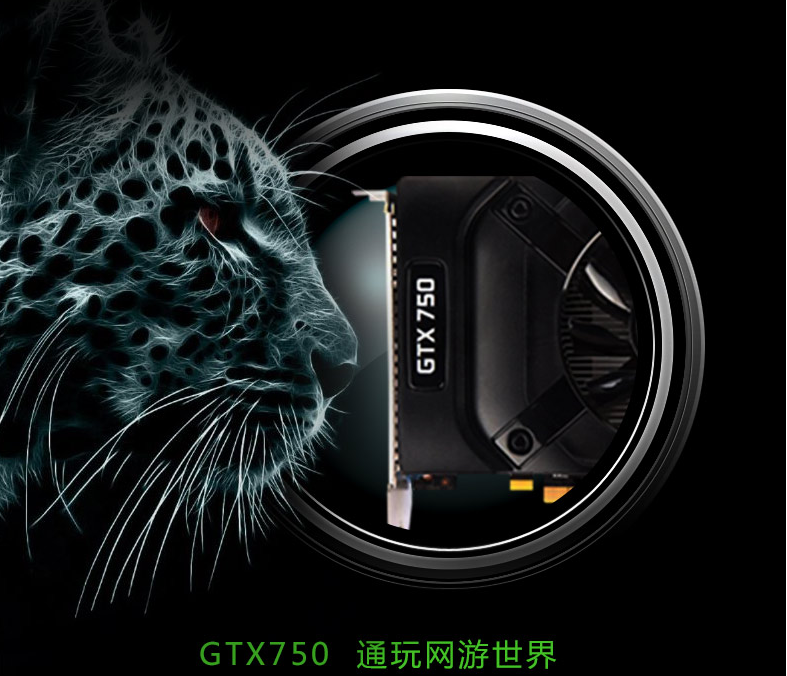 The GeForce GTX 750 Ti is confirmed to launch on 18th February, the GeForce GTX 750 is also expected to launch around the same date.